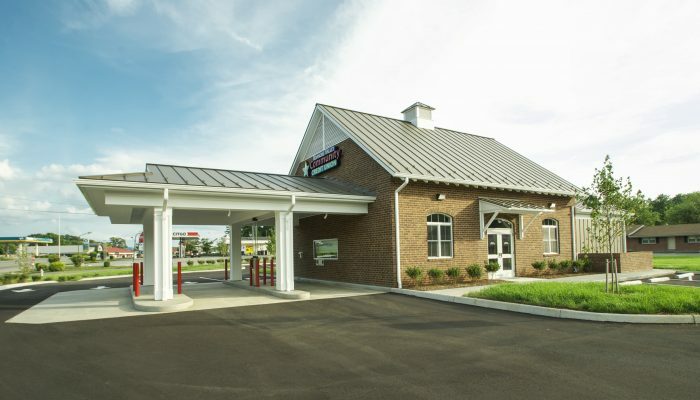 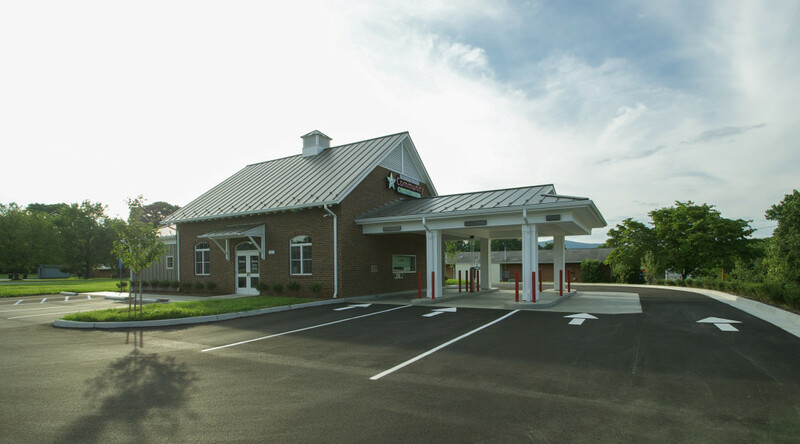 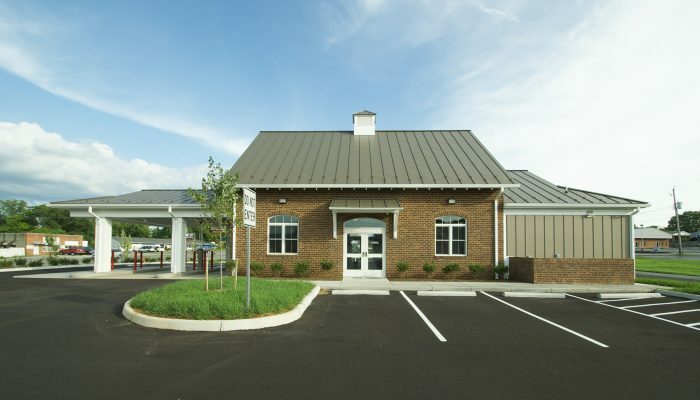 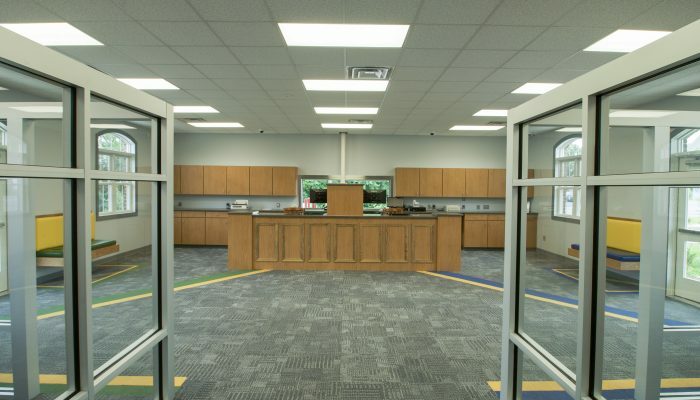 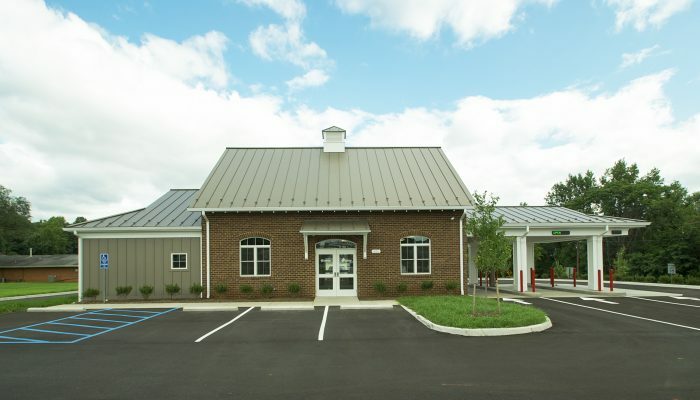 The 2,000 sf bank building is the credit union’s first newly constructed structure. 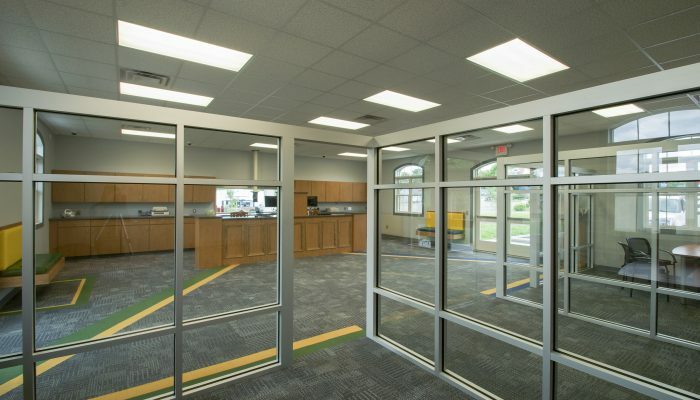 A unique feature is the lobby area displays community colors that represent two area high schools. 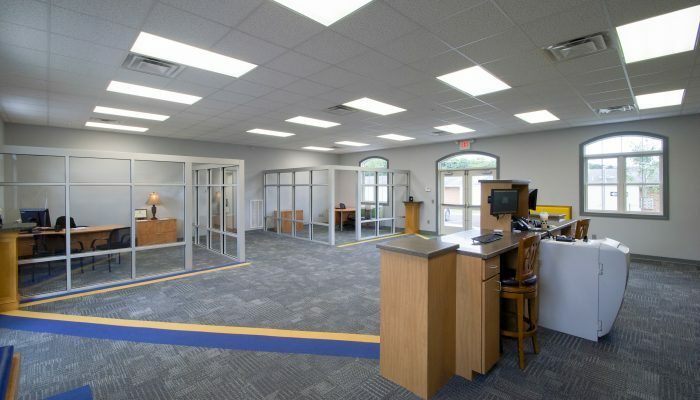 The project finished within budget and construction was completed within 90 days.